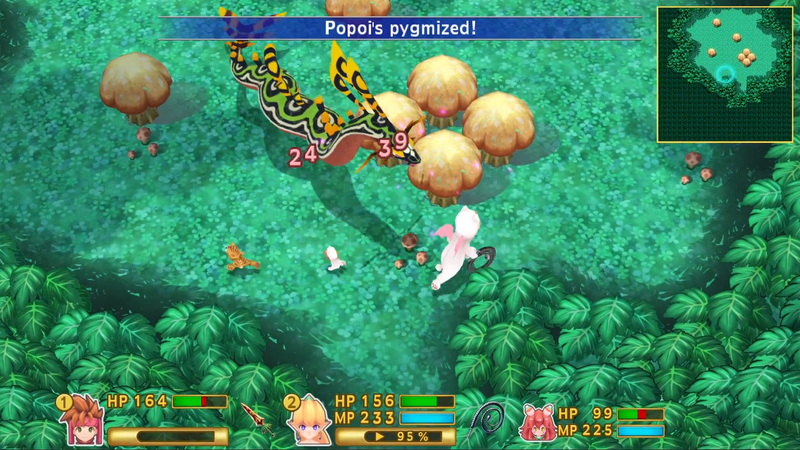 Square Enix shared 13 minutes of gameplay from the upcoming Secret of Mana remake with PlayStation, showing off the multiplayer combat as well as the tiger and moogle suits you’ll receive by preordering the game. If you missed the earlier announcement, there will be a limited quantity of physical box editions (PlayStation 4 only) of Secret of Mana available through GameStop (United States) and EBGames (Canada). Secret of Mana releases on February 15th, 2018 for PlayStation 4, PlayStation Vita, and Steam.